After three months of planning, dozens of meetings, endless cups of chai and late night aloo tikkis, Music for Harmony 2013* happened. It happened. The event I have been hearing about, researching and finally anchoring is complete. 1) The unexpected will always pop up. Always. 2) The day of the event will fly by no matter how long it is scheduled for. From fear of rain (M4H was an outdoor event) to police run-ins (thank goodness we got the right police permission stamps! ), there were several thoda thoda (small, small) things that popped up unexpectedly, but lucky enough they were all manageable. And although M4H started in the morning and didn’t end til after 8 pm, the day still felt like it was over in the blink of an eye. This whirlwind of a day proved to be a special space for many different people in many different ways. For some it was the first time they were introduced to Pravah. 5th Space. Music as a means of communicating peace. For others it was the first time they performed on a big stage. Emceed to a crowd of 250+ people. Coordinated more than 15 different performances ranging from solos to bands, hip hop dance to street theatre (see full list of activities and performers below). For some M4H was a space to reconnect with old friends. For others it was a space to make new friends. For many people M4H was a surprise. A day where they were surprised to learn something new. A day where they surprised themselves of how far they could go out of their comfort zone. A day where they had unexpected conversations. A day where they found peace in a new way. If you ask me, “How did Music for Harmony go?”, I would say it was a memorable, chaotic, creative, sunny, peaceful day filled with lots of smiles and a few more grey hairs on my head. It was also a source of great pride to see the transformation take form in each of the team members involved in the Core Group (all youth volunteers) who transformed into true leaders for an event they had toiled over for months, molding by hand. In the days following Music for Harmony, I was still digesting the entire M4H journey thus far and reflecting on what I was taking away from it all. I had the pleasure of having two random conversations with two different audience members that widened my understanding of the kind of impact M4H holds. The first described M4H as one of the best days of her life and her ability to talk to people she didn’t know that day was surprising and refreshing. The other shared how much he enjoyed the energy at M4H and the meaningful conversations he shared with new acquaintances. When one is planning an event it is easy to focus on all the “what ifs”- what if we had a different venue? what if we put up more posters? what if we had different weather? But these two conversations made me remember what M4H is really all about. It’s about creating the space for this kind of interaction, exploration and connection to exist and flourish. Post M4H my heart is lighter and my sleep schedule is back to normal, but I still find myself reflecting back on the journey that was M4H 2013. It was a pagal (crazy) ride that left me with new friends, new experiences and new understanding of what all it takes to make an event in Delhi take form. Now as the stage is packed away, the volunteers are continuing on their learning journeys with Pravah, I am now ready to work on extending the space that M4H creates into a full circle journey for those interested in peace and conflict transformation. 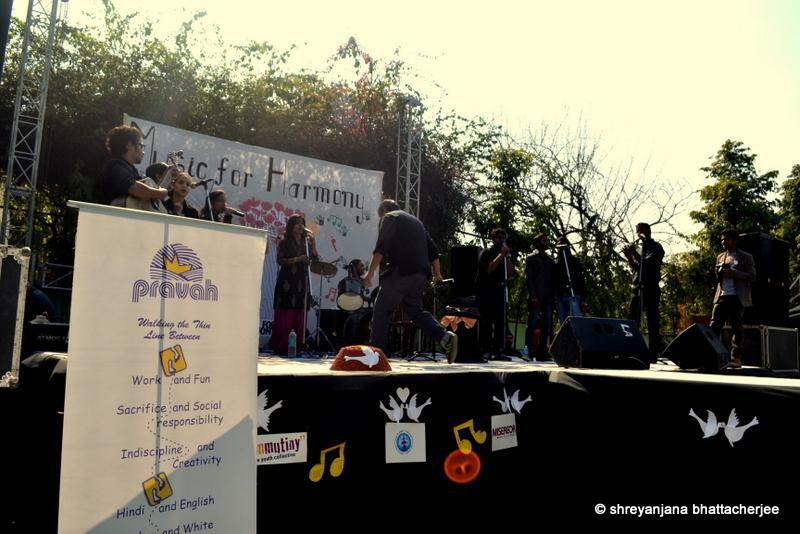 *Music for Harmony(M4H) is an annual event sponsored by Pravah that culminates with a daylong celebration of peace and harmony through different creative arts such as live music, dance performances and street theatre. 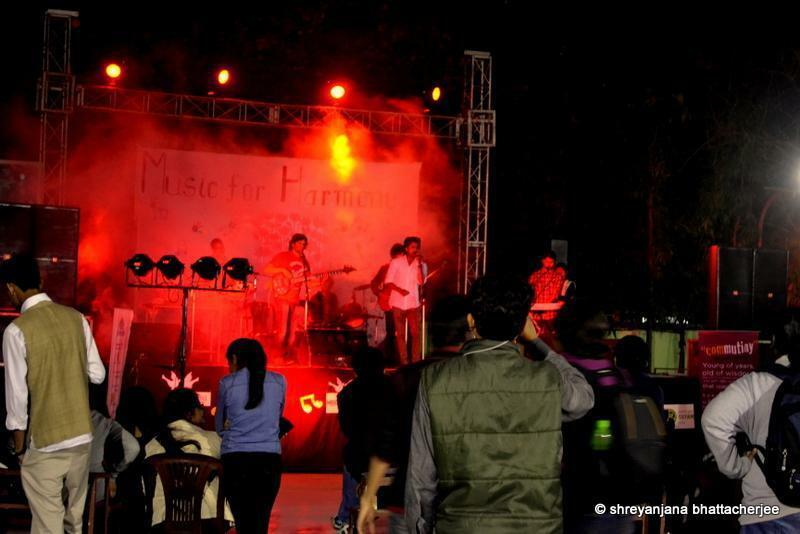 What makes M4H “a fest different from the rest” is that it is completely youth-led. From drafting budgets to confirming performers, from deciding the theme to designing the day of activities and schedule, the fate of M4H lies in the capable hands of volunteers who devote their time and talents to bringing life into M4H. Pravah provides support and trust with the volunteers and in turn the volunteers rise to the occasion. This is a unique opportunity, where youth around the age of 18-25 can come into a space, make decisions, come up with a vision and see it through with support from an organization who trusts in their abilities. M4H also becomes a leadership journey for the volunteers as they take on different roles and responsibilities as the Core Group is formed. After M4H is over, volunteers continue on their journey with Pravah through our various workshops and programs grounded in the concept of Self to Society. Amazing musical performances by Kunj, singing groups from Hope Project, Turkush, Manzil Mystics, solo by thirteen year old Harsh, Zephyr Band, Suraj from Dil Se, The Aphids, a Bollywood retro piece by LSR group, Ekam Satyam and drum circle group D Club, as well as some surprise performances from our Open Stage. Also, a stellar street play performance by Manzil and impressive moves were shared by the 5th Space Dance group and a dance group from Hope Project. Off-stage activities included Design-a-Card, Peace Graffiti Wall, Bead-it-Together game, Photo Exhibition, Face Painting and our annual tradition of lighting the peace candles. 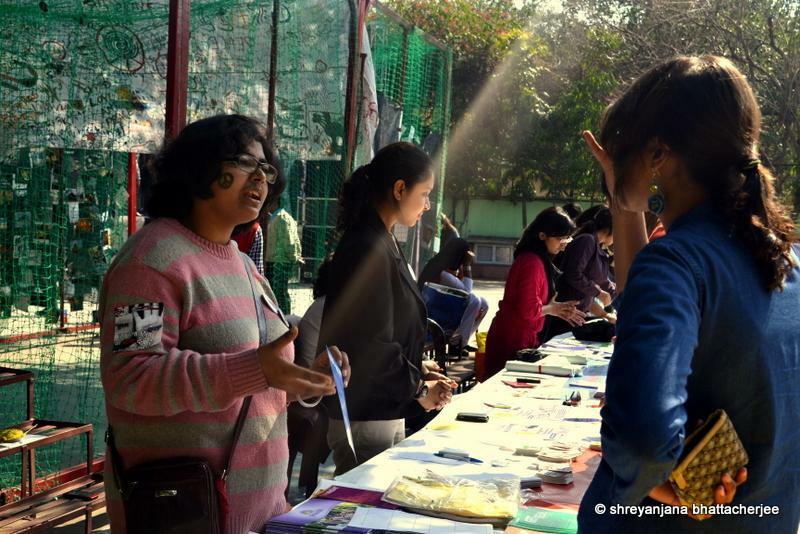 On top of all this action, we also had interactive booths with our partners– Halabol, Hope Project, Must Bol, Mission Bharatiyam, Pravah, Commutiny- The Youth Collective. 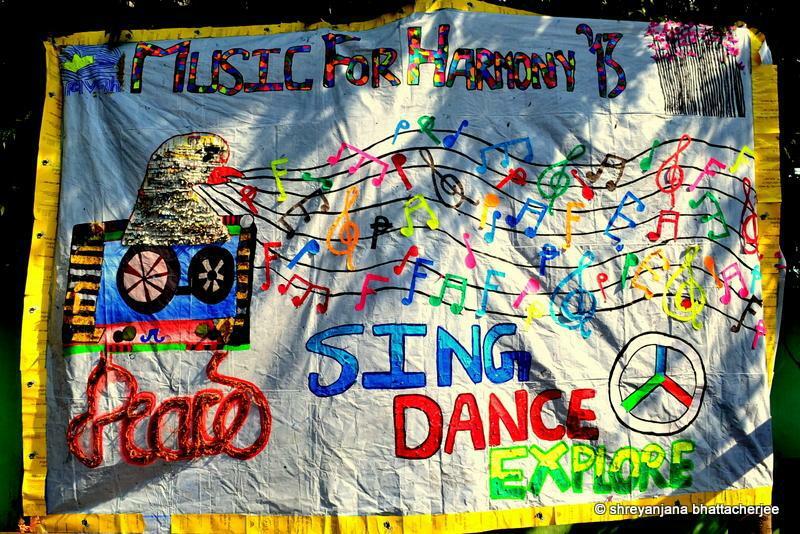 ‘Like’ Music for Harmony on Facebook so you don’t miss out on M4H 2014! !